Qixiang Ye received his B.S. and M.S. degrees from Harbin Institute of Technology (HIT) in 1999 and 2001 respectively, and a Ph.D. degree from the Institute of Computing Technology, Chinese Academy of Sciences in 2006, directed by Prof. Wen Gao. Since 2016 he has been a full professor at the University of the Chinese Academy of Sciences. He was a visiting assistant professor of University of Maryland Institute of Advanced Computer Studies (UMIACS) until Jan. 2014, and a visiting scholar at Duke University at 2016. 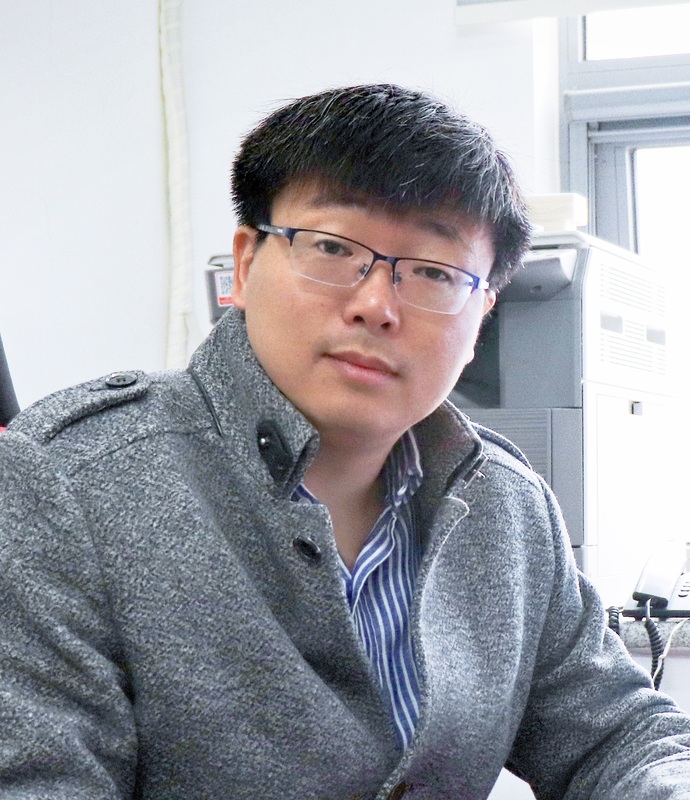 His research interests include visual object sensing and machine learning, particularly for weakly supervised and self-supervised visual modeling. After publishing more than 30 papers in top conference including IEEE CVPR, ICCV, ECCV and PAMI,he recieved the Sony Outstanding Paper Award and the LuJiaXi Young Researcher Award. He is a Senior Member of IEEE and on the editorial board of Journal of Visual Computer (Springer). Address: University of Chinese Academy of Sciences, A-2 BLDG, RM.457, Huairou District, Beijing, China, 101408. Mar.2018: A Large-scale Security Inspection X-ray Benchmark (SixRay) released. CVPR2019 paper [pdf] [iFeng News] [Con! CaiJing]. Feb.2018: Five Papers accepted to IEEE CVPR 2019 [Con! Fang, Yi, Chang, and CaiJing]. Mar.2018: Three Papers accepted At IEEE CVPR 2018, inlcuding a spotlight paper [Con!Yanzhao, Weijian, Fang]. May.2015: Natural Science Award from Chinese Institute of Electronics. 1.Outstanding Researcher of Youth Innovation Promotion Association, Chinese Academy of Sciences, 2018. Y. Zhu, Y. Zhou, H. Xu, Q. Ye, D. Doeramann, J. Jiao, "Learning Instance Activation Maps for Weakly Supervised Instance Segmentation," in Proc. of IEEE Int. Conf. on Computer Vision and Pattern Recognition (CVPR), 2019, To appear. C. Liu, F. Wang, Y. Yao, X. Zhang, Q. Ye, "Orthorgnal Decomposition Network For Pixel-wise Binary Classification," in Proc. of IEEE Int. Conf. on Computer Vision and Pattern Recognition (CVPR), 2019 To appear. S. Lin, R. Ji, C. Yan, B. Zhang, L. Cao, Q. Ye, F. Huang, D. Doermann, "Towards Optimal Structured CNN Pruning via Generative Adversarial Learning," in Proc. of IEEE Int. Conf. on Computer Vision and Pattern Recognition (CVPR), 2019. [pdf]. L. Zhuo, B. Zhang, C. Chen, Q. Ye, J. Liu, D. Doermann, Calibrated Stochastic Gradient Descent for Convolutional Neural Networks, AAAI 2019, To Appear. C. Li, B. Zhang, Q. Ye, "Deep Manifold Stucture Transfer for Action Recognition," IEEE Transactions on Image Processing, 2019, To Appear. Q. Ye, T. Zhang "Self-learning Scene-specific Pedestrian Detectors using a Progressive Latent Model," IEEE Transactions on Intelligent Transportation Systems, 2019 (To Appear). Z. Han, P. Wang, Q. Ye, "Adaptive Discriminative Deep Correlation Filter for Visual Object Tracking," IEEE Transactions on Circuit and System on Video Technology, 2019 (To Appear). R. Xu, B. Zhang, Q. Ye, J. Jiao, "Cascaded L1-norm Minimization Learning (CLML) Classifier for Human Detection," in Proc. of IEEE Int. Conf. on Computer Vision and Pattern Recognition (CVPR), 2010. [pdf]-[bibtex].